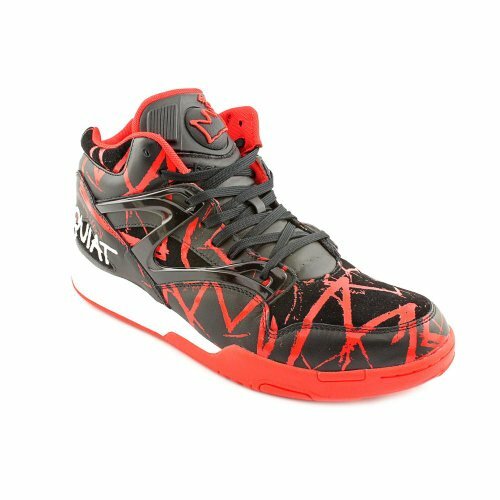 Reebok The Basquiat Pump Omni Lite Sneaker. Leather mid top sneaker with suede toe box and accents; all over Basquiat print; tonal stitching and laces; rubber side cage; padded collar and tongue featuring the Reebok Pump; contrast embroidered logo detail offset on heel; contrast two tone rubber Hexalite sole. By Reebok.